August 10, 2013, Washington, DC: I am a saner person on a bicycle. There are strong arguments to be made for bicycling as a money saver, a time saver and a healthy choice, but the bottom line is that my blood boils less when I’m biking rather than driving and I actually enjoy getting from Point A to Point B. This summer more than ever before, it's apparent there are a lot of us out there. With the launch of New York City’s bicycle sharing program over Memorial Day weekend, the summer of the bicycle was officially underway. Residents of European cities and some here in the US have lived through summers like this before -- sharing bicycles is old hat in places like Paris, London, and DC -- but like much else, once you're called to New York, you've made the big leagues. Not that the launch of New York’s Citibikes program was smooth or uncontested. The debut of the country's largest bikeshare program was so opinionated, so New York. Skeptics with loud voices dominated the headlines on the eve of launch, calling the bicycle docks an eyesore and the mode of transport unsafe. Not in my backyard, they insisted, though they have no backyards to speak of. The bikes are too big and heavy, they lamented, though they’ll never carry them up the stairs of their walk-up studio apartments. And then this happened: New Yorkers took upwards of 6,000 trips and logged 13,000 plus miles on the program's first day before a single bike dock had been installed north of 59th Street. Chicago's bicycle sharing program came next, rolling onto city streets in late June and celebrating 100,000 trips taken a little more than one month later. Last week, Chicago's Divvy Bikes introduced a single red bicycle into the pale blue fleet, making a game, prizes included, out of snapping a photo of the city's lone red bicycle or better yet, taking it for a ride. Columbus launched its smaller scale CoGo bikeshare system in mid-July. The San Francisco Bay Area is slated to begin its bikeshare program before summer's end. 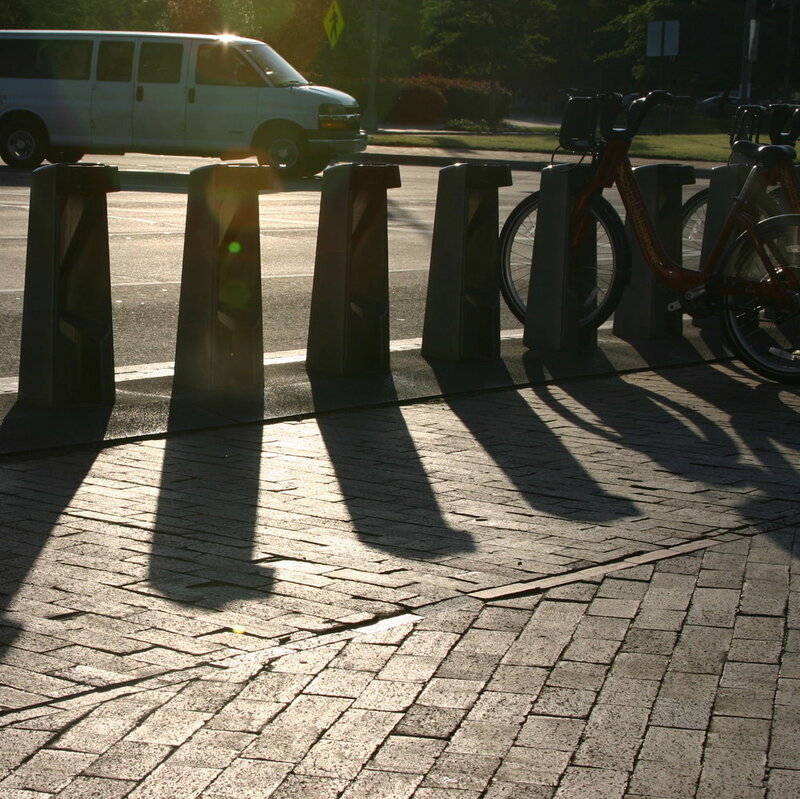 Ann Arbor's City Council approved a plan for bicycle sharing on Thursday night. Name the place and a plan is in the works. To varying degrees, people are pedaling shared bicycles already in Charlotte, Chattanooga, Minneapolis, Boston and Miami Beach. The goal is to expand and launch systems through 2013 and 2014 in cities including San Diego, Miami, and Portland. It's all great news for those of us who are fascinated by how cities work, as well as for anyone looking to save time and money or live a healthier, more active lifestyle. Perhaps above all, it's great news for the growing numbers of us opting to stay put in US cities and make urban living work for us the way we want it to. In an article for GOOD, author Jeff Speck, who has documented the resurgence of city living in his book Walkable City, writes about his personal appreciation for the car-optional lifestyle his family lives here in Washington, DC. It's a compelling read, and additional evidence that young and old alike are choosing to live in cities because they give us access to so much of what we need. If we can access those resources by bicycle and clear our heads while we're at it, we are happy to share.